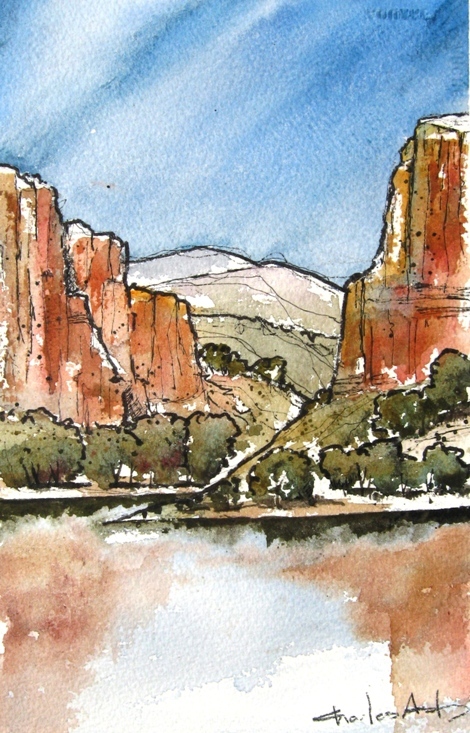 Another watercolor in a series I have started called Canyonlands. Throughout my life I have been inspired by the magnificent landscape of the west, especially those special places where the rock soars. Another of the painting-a-day series of watercolors 7" x 11" image size, matted and ready to frame. Image was photographed to represent original colors, but your monitor colors may vary the colors slightly. .